It has been a whirlwind of travel since my last race on the Big Island of Hawaii. We flew to Phoenix to view the final cut of our new Body Protection DVD, traveled to Atlanta for an interview, then to Sarasota to see a couple of clients. 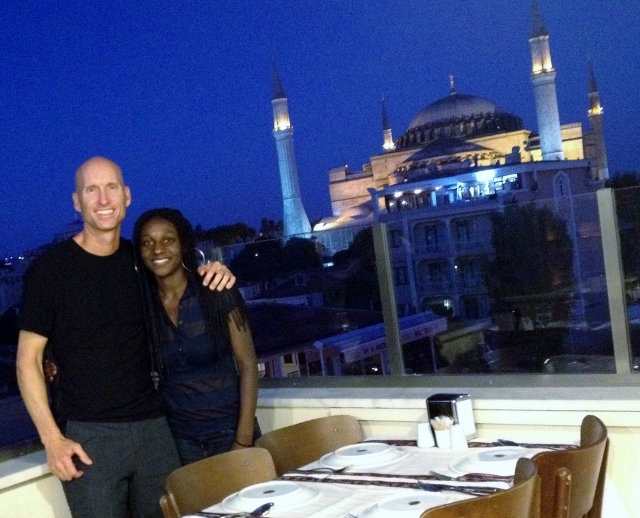 After traveling about 30,000 miles on The Isles Mile Challenge, I am writing you now from Istanbul, Turkey as we came here for a celebratory trip and to see a city that we have not visited yet. It has been great to unwind a bit and stroll this old city. We will move onto to NYC for a couple of days of the US Open tennis and then be back in Sarasota for the start of September. Last Friday, www.BodyProtection.com went LIVE and you now have the opportunity to pre-order the DVD and not pay any shipping/handling costs (if you purchase the DVD before September 15th). Please check out our new site and let us know what you think of the cool layout.